The Latin dance evening at Chicken Star Bishkek is back. 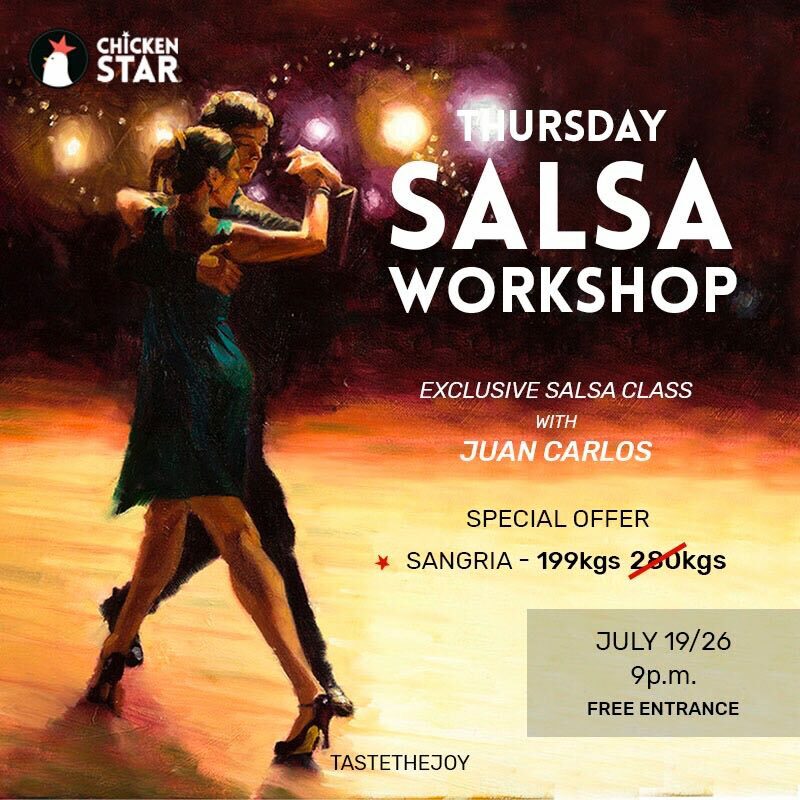 Every Thursday the professional dancer Juan Carlos is going to teach salsa at Chicken Star. Everyone who would like to improve their Salsa Latin Dance skills is welcome. This Salsa Workshop is also open to beginners and dancers new to Latin Dance. The Salsa Workshop starts at 9pm and the Entrance is free.